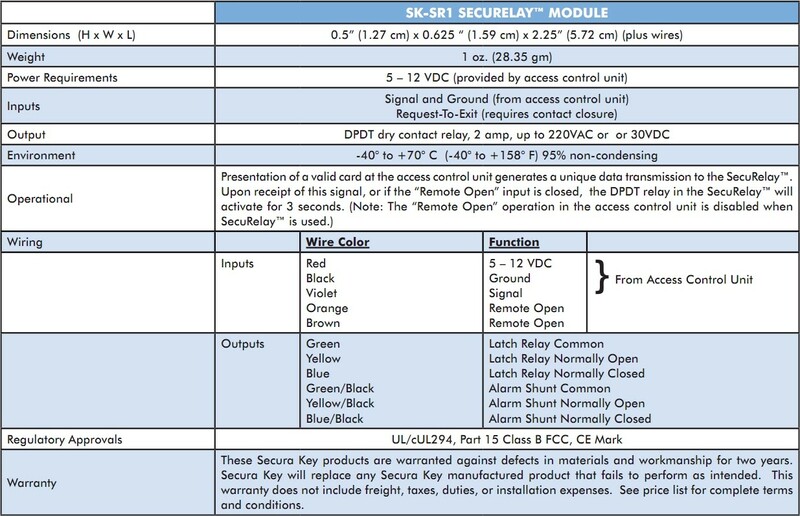 Whenever a valid card is presented to a SecuRelay™ compatible access control unit, SK-SR2 a unique data stream is sent to the SecuRelay™. Each SecuRelay™ learns to recognize the data from a single access control unit. Tampering with the wires at the access control unit, even replacing the unit with another reader, will not trick the SecuRelay™ into releasing the lock or gate.